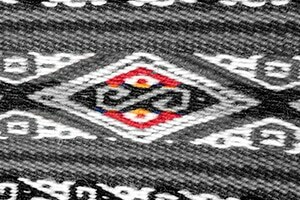 What Do the Different Symbols in Peruvian Textiles Mean? To answer this question about Peruvian textiles, we consulted our friends from the Umasbamba weaving community, a small collective of female weavers who have maintained this centuries-old artisanal tradition. 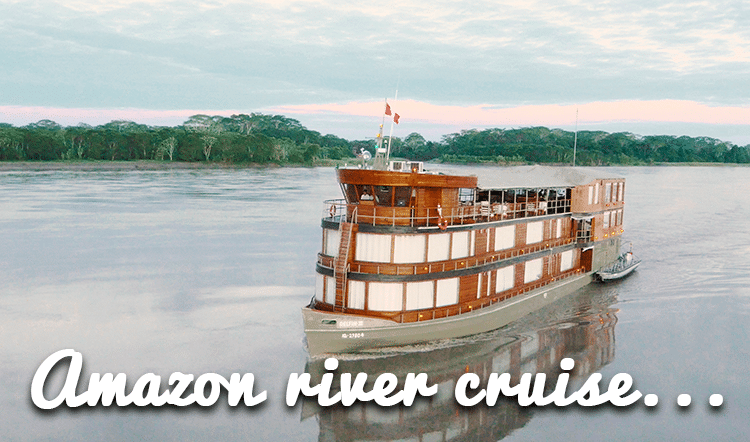 They’re a regular stop on our Peru travel itineraries. 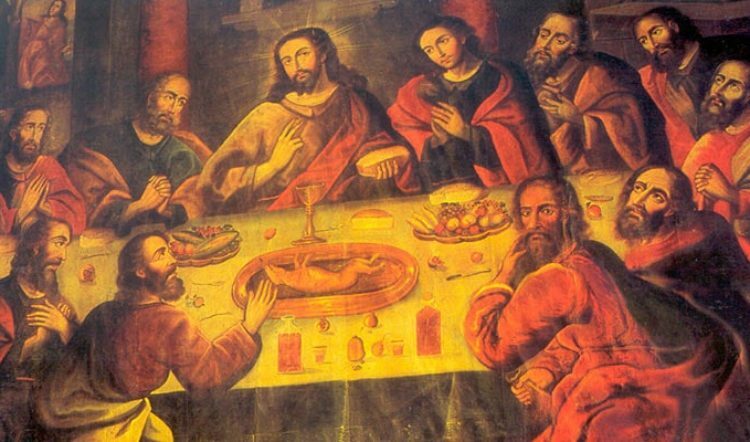 You may have visited or will visit them during your Peru tour. 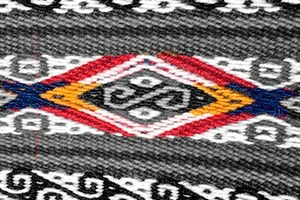 In this post, we explore the meaning and mastery behind this precious Peruvian tradition as explained to us by the Umasbamba weavers themselves. Enjoy! It’s important first to understand the role of weaving in Peruvian and Quechua culture. In the Peruvian Andes, it’s the very core of life and identity for many women. Every textile is a demonstration of traditional knowledge passed down through the generations. 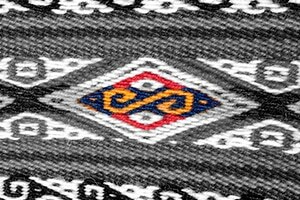 The patterns and symbols woven into each Peruvian textile are like a form of communication and expression, recording the thoughts and the experiences of the women spinning and weaving the textile to life. 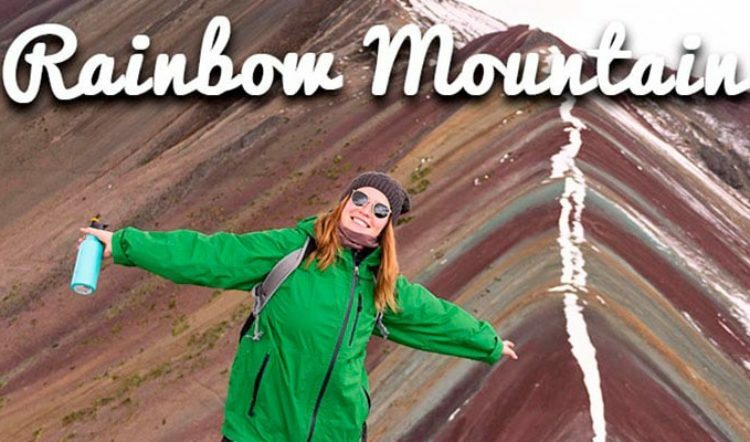 That information alone ought to put new meaning to your Peruvian textile shopping! 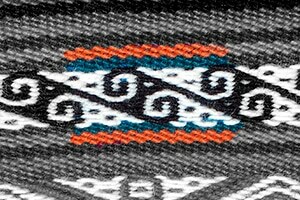 Diamonds are actually unique to Umasbamba textiles. 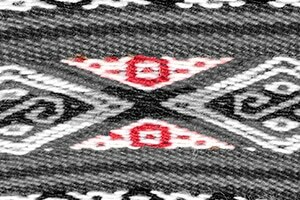 Every community or region of weavers tends to have a symbol that represents or attributes the textile to that community. It’s like a signature of sorts. 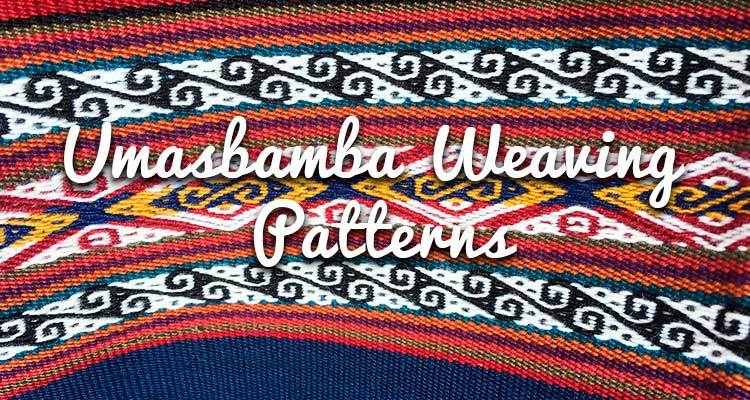 In Umasbamba, you’ll find the diamond shape incorporated into the designs of the textiles being woven and sold. Red and white circles on a textile represent the bulls that are used to plow the land in many Andean villages, more specifically their footprints. As you travel to Peru’s countryside, it’s likely that you’ll spot a pair of bulls leading a wooden plow, an old technique that farmers in some of the smaller villages still employ regularly today. If you find a textile with small white and yellow circles throughout the pattern, they likely symbolize the eyes of the llama, an incredibly important animal in Peruvian village life. 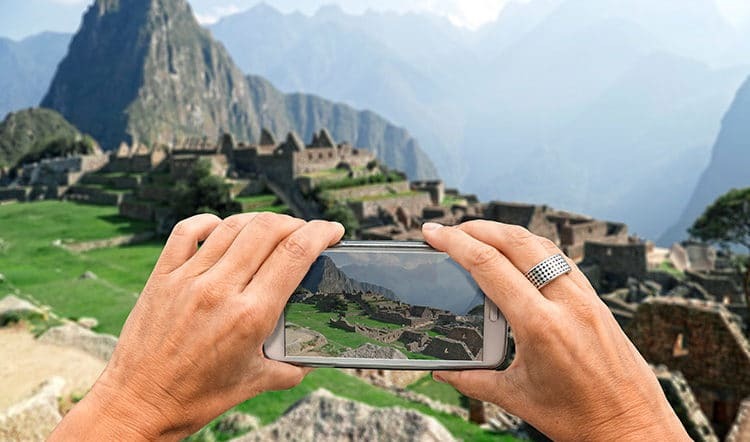 Since the time of the Incas, llamas have been used for their wool, their meat, and their ability to transport people and goods across the difficult mountainous landscapes of Peru. This shape is actually symbolic of the chira, an agricultural tool that dates back to the time of the Incas. It was essentially a foot plough made from a long stick with a curved tip. The tool allowed farmers to break up soil, aerate, and sow their crops with the simple pressure of their foot on the tool. Some farmers in the Andes still rely on ancient Inca tools like the one this textile symbol represents. Black figures in a textile represent the birds that farmers rely on to sound the alarm when foxes are in the area. Oftentimes, farmers let their cattle graze in the mountains without any supervision. The song of these birds is what lets them know that it’s time to return to their cattle and quickly, before one of their precious sheep or llama become lunch for a hungry fox. This is just a sampling of the many designs you’ll find while shopping for textiles in Peru. 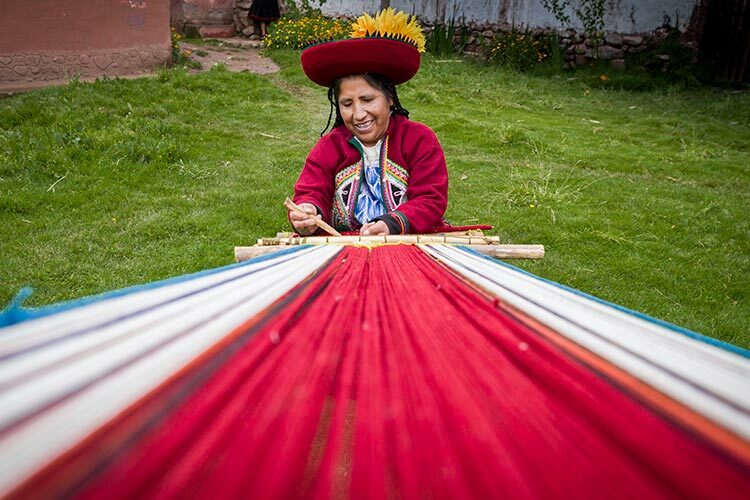 For a truly special Peru vacation souvenir, purchase your Peruvian textile directly from the weaver herself and discover what designs she chose to weave into the piece you’re taking home.